Temporarily knocked off your feet? 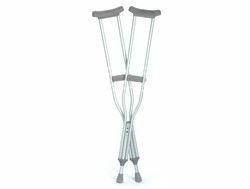 We have several different sizes and types of crutches available. We also sell an array of Guardian crutch cushions, grips, and tips.